Muller learnt his trade at the Natal Sharks before making his move to Ulster in 2010. The commanding second-row was part of the 2007 World Cup squad appearing four times during the victorious campaign. 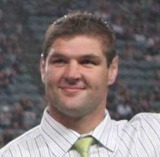 Now based in the northern hemisphere, Muller was named in the Springboks' 49 man training squad for the 2011 World Cup. He made one substitutes appearances against Wales during the tournament before returning to Ulster's ranks.